After winning a Lebanese TV talent contest in 1996, Suzanne Tamim soon became the Kylie Minogue of the Middle East. But sadly for the 30-year-old singer, she had little freedom. Her second husand had effectively tried to stop her career by buying her contract and she had reacted by running into the arms of a rich and powerful Egyptian politican and entrepreneur. When that relationship failed Suzanne’s short and starry life was doomed to end in a tragedy which surely would have been unthinkable had she been living in the West. 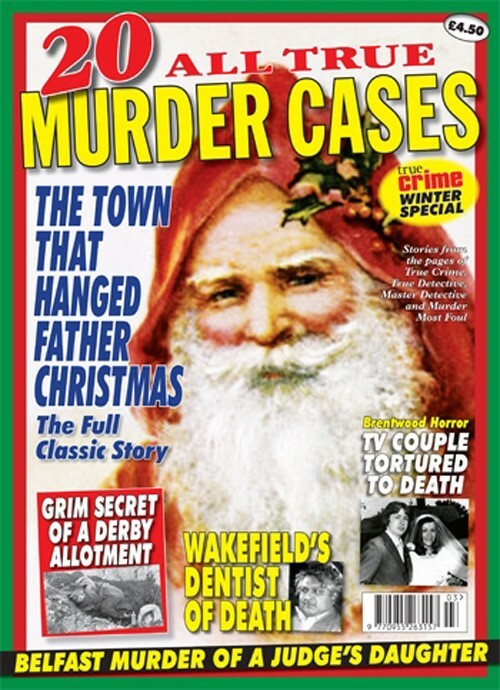 We have two historical Australian murder cases in this issue which are sure to educate and fascinate true crime aficionados, and we continue the ‘America’s Most Evil’ series with ‘The Beauty Queen Killer. Chris Wilder liked to pursue beautiful women. He also liked to torture them with an electric prod before killing them. Amazingly, he allowed one of his victims to walk free, telling her to go home and forget what had happened. "I’ve got a feeling the end is close," he said, before buying her a ticket for Los Angeles. 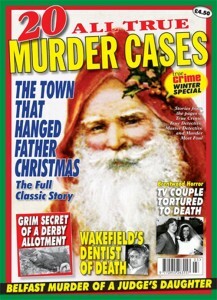 "I Will Die Like An Angel"
Did DNA Blunder Create A Phantom Serial Killer? 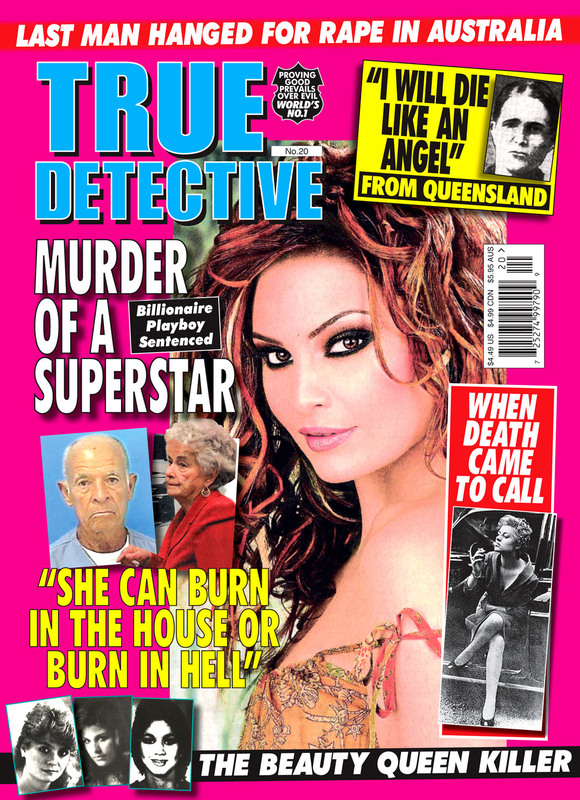 "She Can Burn In The House Or Burn In Hell"
All the stories in the USA True Detective are taken from recent pages of the UK magazines True Detective, True Crime, Master Detective & Murder Most Foul.